Ambar Naag Maria Series is an Urdu myster series of novels authored by A Hameed. Below are the direct downloadable links of great series AMBER NAAG MARIA by A-Hameed, a renowned writer of Pakistan. There are many chances that individual download links are dead. That is why I have decided to post the Direct Folder view of server for latest direct download links. If any link found is dead just look for the novel No and then click any of the folder link below and download. If you still see there is no such novel post the request and I will upload that again. If specific topic is there then I have that novel. Full available collection of Amber Naag Maria. Click on the below mentioned links to download each novels of this awesome series of novels in Pdf format. Sir plz amber naag maria series ki 74 tak to website main hain or 26 in main miss hain (74-100) plz sir in ko b is site main include karien plz sir plzzzzzzz. pls publish after 74 as well. It is such a great treasure of yours to keep them and upload for ppl like us who couldnot get hold of these books any longer. Thanks you brother for reporting this error. 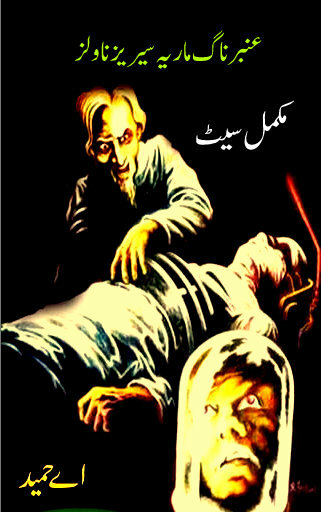 Download link to Firon Ki Tabahi has been updated. Please try again to download. 13, 18, 23, 43, 49, 53, 54, 55, 56, 65, 69.
aoa, i want to get maut ki wpsi series, where can i find it? Sister now it is available in the link. you are great sir. reminded my early days. downloading but failed to download part 13, 18, 23, 43, 49, 53, 54, 55, 56, 65 and 69. please correct the links. much appreciated. please provide episode 18 , jahan maria gyaab hoti ha , I so wanna know how ?? plz fix error on 68 part. the link is working but downloading Part 67 (instead of 68). please upload more novels to a hameed. and upload to khaili series a hameed. jawab zaroo de. Page No. 26-27 of first part are missing. Please fix it. Please 73 and 74 Episude ka link Expire hai. missing file Show kr raha hai plz is ka link send kr den. These parts are currently not available. We are trying to provide download link to all missing episodes. Can anyone please tell me where i can find A Hameed’s “Imran and Rehaan Series”. The series consisted of 10 books and were released in the early 90s. DEAR VERY LOVELY, CHILDHOOD MEMORIES.. I have read the series in my childhood and i want my children to read these too. Is the series available in book form? What is the price? and inform about delivery procedure. There was another seperate series of “Anosha , Usha & Sarang Baba” & “Anosha Usha Patli Putr mn” having 7 or 8 parts, containing historical events, as far as i remember from my childhood 🙂 , does anyone have any information about that..? it would be a great help..
57 adam khor devi (ye novel missing hai)! 73 is wehshi jallaad and 74 is kashti aur toofan. I have these both novels. How can i send these to u Saeed sahb? Plz share ur email id or some other source like whatsapp nmbr etc. So that I can be abke to send u these epsds. Dear Mohsin. Wehshi Jallad and kashti aur Toofan is already exist on serial No. 75 and 76. Mujhe yaad he kaafi years pehly mere paas old books me se Ambar Naag Maria series ka ek part “Qabr Khali Murda Ghayab” mila tha or os pr Qist # 120 se 126 k between me se printed thi. ose parh kr mera interest build hua.. But i never found the full series.. Thanks for ur websit i found most of the series.. But dear admin…! U mentioned here that there is a complete list and ur list contains only 100 parts in numbers of Ambar Naag Maria series. In this entire list i didn’t found the series name what i mentioned above. May u please advise me. Thanks in advance. Kindly upload 73 and 74 which were missing. Who is A Hameed’s Die hard fan here and want to help his family?